The nanoparticles of a prominent luminescent material, cadmium selenide (CdSe) have been prepared by simple wet chemical route using starch as capping agent. The X-ray diffraction of the synthesized CdSe nanocrystals exhibits hexagonal phase with average crystallite size decreasing with capping agent concentration. Surface morphology of CdSe nanoparticles has been studied using scanning electron microscopy. The UV–Vis absorption shows blue shift in absorption edge indicating increased band gap with decreasing the particle size due to quantum confinement. The photoluminescence and electroluminescence (EL) measurement show single peak at about 650 nm with increasing intensity for smaller nanocrystals, however emission peak is quite broad in case of EL indicating involvement of impurity states. The luminescence intensity increases because of increased oscillator strength and the better passivation of the surface defects responsible for non-radiative relaxation process. The light emission starts at lower threshold voltage when the concentration of capping agent is increased. 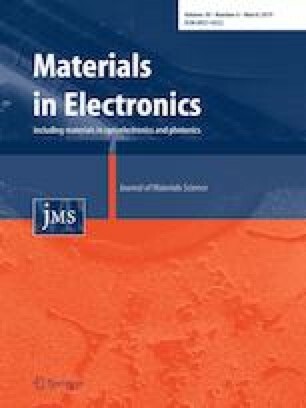 Authors are highly grateful for National Fellowship from UGC, New Delhi and also thankful to Inter University Centre Indore for XRD and UV–Vis analysis and Indian Institute of Technology, Banaras Hindu University, Varanasi for SEM and Maulana Azad National Institute of Technology, Bhopal for Photoluminescence spectra.